March has been a time of celebration at the Rhine as Stacy Horn's new book, Unbelievable, was published on March 10th by Harper Collins. The Rhine gathering on March 20th was a great success, as audience members were granted the dual presence of Stacy Horn and Dr. Sy Mauskopf, whose book on Parapsychology and the Rhine Center, The Elusive Science, was published in 1980. Together, the two books give a comprehensive account of Parapsychology throughout the 1800's, 1900's, and during the last decade. What a treat to see Mauskopf and Horn together comparing notes about their research and demonstrating such complete understanding and respect for the Rhine Center! Dr. Mauskopf gave us an overview of the field as it came into being and morphed through the decades, noting that while Parapsychology had times of flourishing it also had times of strong opposition by mainstream science. However, even in the times of opposition, he said, there were always "one or two major scientists who defended it." Its "heyday," he said, was the period between 1882-1920, with a flowering of studies and interest in psychical research. 1920-1930, however, was a time of "winding down" as there was a split in the national societies, but 1930-1945 he noted, was a time of renewal in the field, so influenced by J.B. and Louisa Rhine that he called it the "Rhinean Revival." By 1950, Mauskopf said, success had become mixed with the field not "succeeding" as some had hoped yet never fading completely. Horn picked up where he left off with her book Unbelievable, and during the panel she regaled the audience with stories from her years of research in the Duke archives. 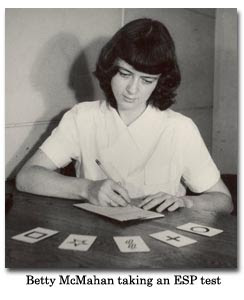 Her research, she says, was focused mostly on correspondence among scientists, and she noted that the Rhines were so famous in their time period that whenever anything "paranormal" happened, they were likely to be the first to receive correspondence about it. Horn included many intriguing stories, for example, the famous movie The Exorcist was based on a real-life situation in New Jersey. J.B. Rhine corresponded with the boy's priest, but the family wanted an exorcist, not science. Another notable moment was when Gaither Pratt, a researcher at the Rhine Center, went to Long Island to study a poltergeist case that was stumping the local police. Of 67 events, Pratt found that 17 could not be explained by normal means (things were falling off tables, off walls, etc.). Horn took great pains to interview family members and others who were associated with these stories (members of the police force, for example) to follow up on these stories and give the whole account in her book, rending numerous fascinating accounts of these psi experiences and their aftermath. The Rhines, with their insistence on research and practicality, became mainstays in a field based on inexplicable yet seemingly undeniable events. Horn mentioned correspondence from such notables as Albert Einstein, Margaret Mead, Alan Gregg, Alfred P. Sloan, Aldous Huxley, Richard Nixon, Carl Jung, and Chester Carlson, each with his/her own interesting story. Not only were there numerous letters about famous events and people, Louisa Rhine, Horn said, collected an enormous amount of letters from the general public. These letters (and those that are still coming) are a strong source of anecdotal information for the Rhine Center, giving the Rhine one of the largest collections of spontaneous psi occurrences in the United States -- dealing with issues such as clairvoyance, telepathy, clairsentience, animal psi experiences, extraordinary healings, psychokinesis, and dream psi experiences. Horn says that the overriding question that keeps the study and discussion of psi going is, "Is there life after death or not?" As both Horn and Mauskopf's analysis of the history shows, no matter what happens in the field, these types of questions and events will keep us hanging on. See photos from the reception below. Did you have any PSI experiences as a child or teenager? In childhood, I talked often to nature spirits (which I called fairies). As a teenager, while lost in a hailstorm and badly hurt, I had a life-saving visitation from an Angel, which gave me faith and a trust of Spirit that has pervaded my life. What were the experiences that made you "a believer"? As an adult of age 32, with a Masters Degree and two decades of full-time work in Speech Pathology, I began to experience healing that flowed through me to others - starting with my husband during his hospitalization. Surgery was averted, and the experience of being in a cocoon of love and warmth and peace that we both received during these "sessions" began to transform our lives. At first, we simply resumed life with three small children, work, and Dave's returned health. However, when one of us was hurt we put hands and intention to healing and marveled at the results. Three years later, I began to have healing experiences with friends that included information I had no way of knowing. That frightened me and certainly got my attention. I then sat at the typewriter in the early mornings, starting with prayer and asking to receive whatever I needed to know (including whether to turn off this spigot of experiences if it was coming from my ego). I received a teacher in Spirit who came through in meditation and gave me "lessons" in how to listen to Spirit, receive from the highest levels of vibration, avoid spam etc. I listened, learned and applied these messages to daily life with three small children and my husband, plus part time work. Was this something that was accepted in your family? How have family members responded to your work as an intuitive counselor? My husband was supportive when I thought I was crazy. My friends encouraged me when I doubted myself. My rather open-minded birth family was a bit dubious that I could do it, but soon were very excited and asking for help for themselves. If one parent, in particular, didn't like something that came through Guidance, I was told, "You got the wrong guides today." Have there ever been times when you doubted yourself, your abilities, or even the whole idea of being an intuitive? When the teacher in Spirit told me to do spiritual intuitive guidance with other people, I argued for several months. Finally, I said, "I'll announce this at two groups - a meditation group and a Course in Miracles Group. If no one comes, I'll know this came from some personality glitch in me. If people come, I'll have to trust that Spirit pouring through me will give them the help they need." Within three months I needed to quit my other jobs, and do intuitive counseling and healing full time. That was over 26 years ago. I am humbled and thankful every day to be able to love and serve in this way. In our culture dominated by left hemispheric brain functions, we constantly organize, analyze, compare, future and judge. Discover the joy and wonder you'll feel in your right brain's domain. 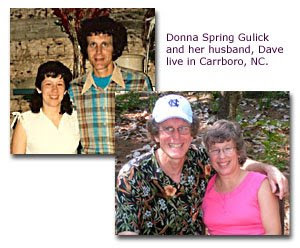 Techniques taught come from Donna's background, and from the renowned Brain Physiologist, Jill Bolte Taylor, who experienced loss and re-building of her left brain, when in her late 30's. Recommended read before or after, Jill's book, My Stroke of Insight or watch the video below. I find that your factual history of Parapsychology is just what I'd hoped it would be. Unbelievable gives a comprehensive and very interesting account of the scientific studies in Parapsychology. In your research, you have dug out details of the Duke Lab's history (many of them almost forgotten by me) that I find fascinating. I am convinced that no one could have done a better job of keeping the facts straight while making the story such an interesting one. I'm sorry to be so long in responding to this much-appreciated copy of your book. I am honored to be mentioned in it (along with having your signature). 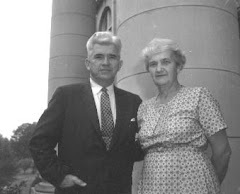 Dr. McMahan was a staff member of the Duke Parapsychology Lab and originator of the 'Pure Telepathy Test", presenting conclusive evidence for telepathy which could not be explained by remote viewing or clairvoyance. Join us at an Informal Reception followed by a Panel Discussion with the engaging authors of two separate books featuring JB Rhine and the early Duke Parapsychology Lab. The Elusive Science was co-authored by popular Duke professor Sy Mauskopf in 1980, from the perspective of an historian of science. Dr. Mauskopf has been a long-time member of the Rhine Advisory Board, and a popular speaker in the Rhine Center Summer School Programs. Come hear their stories and ask your questions at the Informal Reception in the Stedman Library before the talk or after the Panel Discussion in the Stedman Auditorium.